Merry Christmas to you too Anna. I had fresh squeezed juice this morning in the cutest little farm cup from guess who! Merry Christmas! Thanks for the adorable bear "ball!" It made us all laugh and went right on the tree! Happy Days to all of you friends! Elizabeth I only made two of those annamals :) and kept the other for our tree. Thinking I will explore that idea more for next year!! 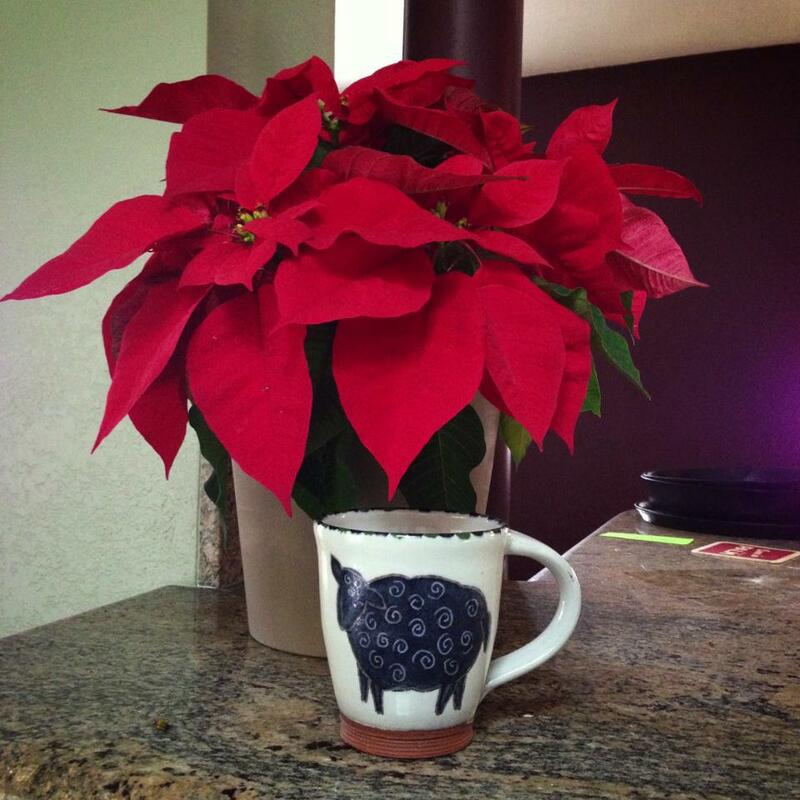 Love that Black Sheep mug!! thanks again for special deliveries for my parents gifts! you are the BEST!!! Merry Christmas! and happy 2013- painting and all!! Let know what days you are in painting and I will stop by the new digs with coffee or tea! !